Your first one-hour consultation is free of charge. It is an opportunity for us to meet, for you to ask all the questions you wish and for you to see if you have found the right therapist for you. If you choose at that meeting to use hypnosis right away to help you, then the meeting may extend to 90 minutes and would be chargeable. LifeWorks for Business provides Mind Management Training that allows staff to be mentally calm at the times when they really need to perform at their best. Mind Management teaches staff to be more confident in presentations, to be more assertive and productive in meetings, how to improve motivation in the workplace; and to improve personal performance and communication skills. LifeWorks for Business Trainers use Mind Management, Progressive Language, Self-Hypnosis and other life-changing tools that are very new and exciting for the business environment. Curiosity and a willingness to grow. Simply wanting to know more about the better ways to engage with life is what caused LifeWorks to be created. Things like, Inner Calm, Progressive Language, Self-Hypnosis, NLP and EFT and other exciting and stimulating self-development and team-development techniques. All the teachers have first-hand experience of all of these. And once these techniques and experiences were learned, all that needed to happen was for these techniques and experiences to passed on and shared with others. If you want to experience something new, something that will perhaps change you in a small way, or maybe in big way - please explore more here. You may find something that really interests you. The right link, the right words, the right message, the right learning, for you may be here - somewhere. 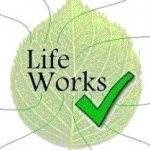 Lifeworks for Exams provides schools and colleges with special relaxation classes. These relaxation classes are specifically designed to provide pupils and students with new tools to allow them to handle exams more comfortably. If you are a student or teacher and would like to learn more about Lifeworks for Exams, please contact us right away. We can provide references from schools that have already benefited from the relaxation training we have delivered. Free Introductory Meeting to meet me and to explore what we are working on and how I can really help.